It's hard to find anything negative about the Titan products when everything they release is near perfect! Titan Pre Workout is a well researched and designed pre workout powder that will definitely give any user the extra edge they are after. When taking Titan Pre Workout you will experience an awesome energy increase, great focus, sleeve busting massive pumps and a pleasant flavour every time you drink it. 2 products in 1, great value for money! 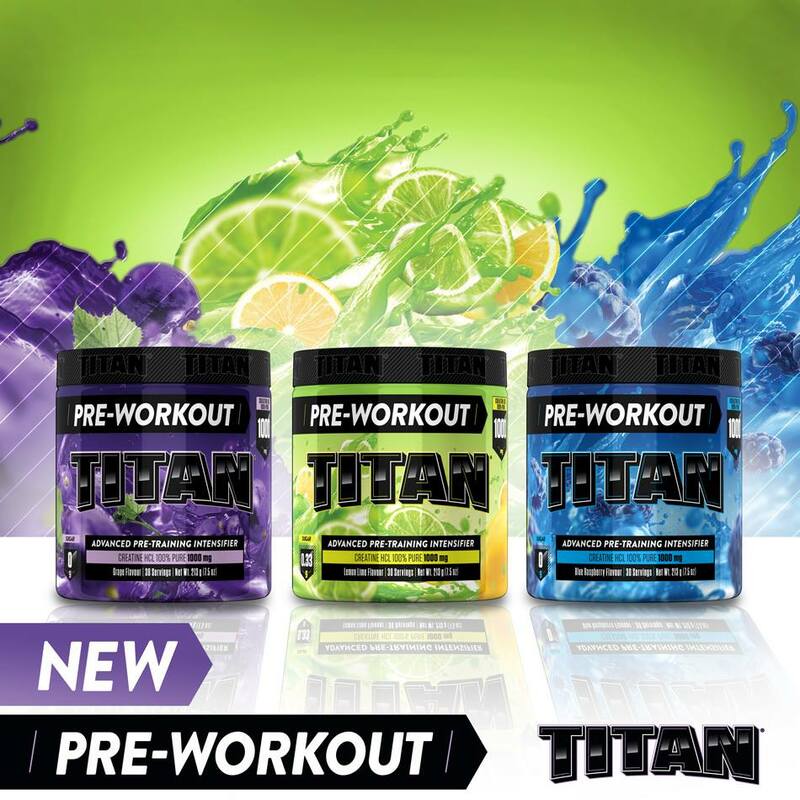 If you’re after a delicious pre-workout but also want something that is good value for money then Titan pre-workout is for you! 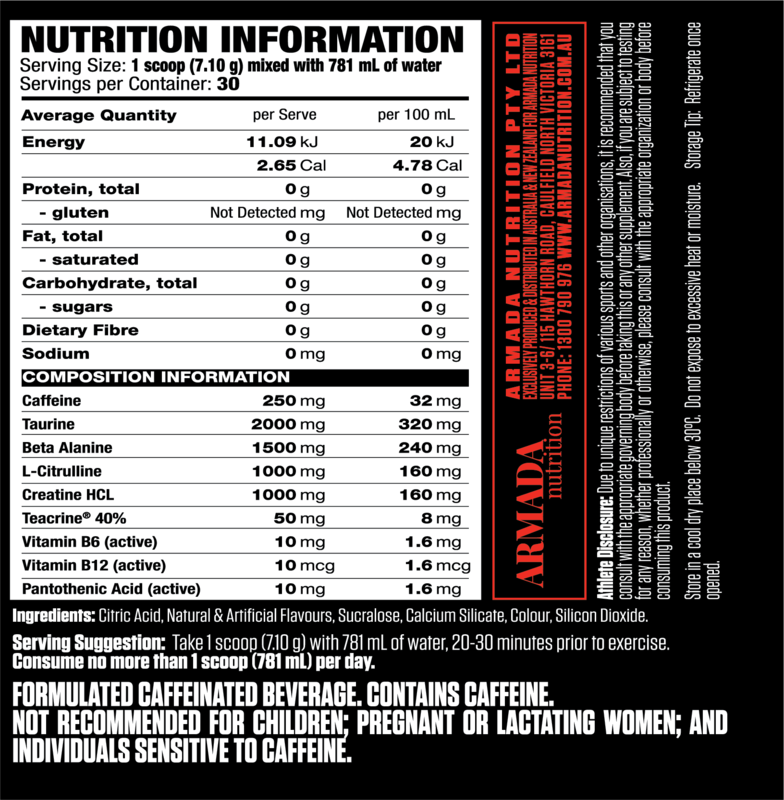 All you have to do is look at the ingredient profile where you can see that it has a full gram of Creatine HCI per serve. Creatine HCI is a form of creatine which doesn’t have to be taken consistently for the benefits, it just must be taken on days where you’re training. It has become a very popular creatine as it’s more convenient than a standard creatine monohydrate. For $59.95 you get a Titan pre-workout + a full dose of creatine HCI per serve, so you don’t need to buy a separate creatine product! One of the nicest tasting pre-workouts I've tried, with the added Theobrimine and Creatine HCI.. Makes it a awesome basic pre-workout, As the added creatine means you don't need a creatine product. Plus the Theobromine gives you the feel good energy.